If your child is in Grade R this year, they will matriculate in 2030 and be thrust into a world so different to the one we are living in today that unless we prepare them for the future unseen, the current rapid developments in technology will cause economies to slip behind and inequality to widen. We are talking about the Fourth Industrial Revolution, and with the rise of universal broadband access, artificial intelligence and robotics, it’s right on our doorstep. But is the African child being prepared for it? We stand on the brink of a technological revolution that will fundamentally alter the way we live, work and relate to one another – across every industry in every country. It will be characterised by the blending of innovations across physical, digital and biological spheres affecting production, management and government. 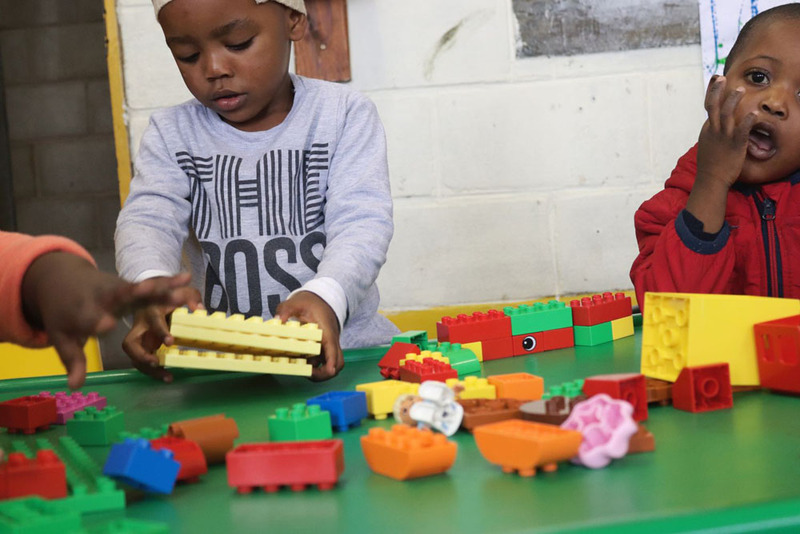 Including more and more technology to children from the Early Development Stage is important, but Vanessa also emphasises the strides the organisation is making through introducing Lego play into the learning and teacher training programme. Lego teaches creativity, problem solving, engineering and maths skills. 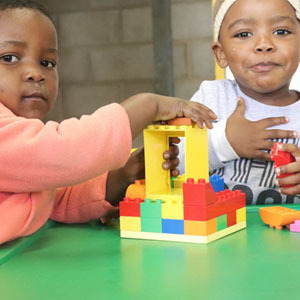 The Lego Foundation is partnering with Afrika Tikkun to re-imagine learning for the fourth industrial revolution. Afrika Tikkun spoke to Head of Content at Flux Trends, Tumelo Mojapelo, on how the company can ensure children in South African townships are prepared for this new brave world. According to a report by Accenture, the Industrial Revolution will take over up to 35% of all jobs in South Africa. This change will be seen in the white-collar and blue-collar job tiers. Many routine physical and clerical jobs for humans will be replaced by software or robots. Ultimately, even the jobs of lawyers, surgeons and engineers will be replaced by technology. Accenture further indicated that 75% of activities required by these jobs would be taken over by machines between now and 2026/2030. The top ten skills that will be required are: complex problem solving, critical thinking, creativity, people management, coordination (team work), emotional intelligence, cognitive flexibility, negotiation and resilience, service orientation, and any other IT skills. Artificial Intelligence and robots will first replace jobs or functions in industries that require jobs with hard skills first (i.e. clerical work, bookkeeping, cashiers, bank tellers, construction, cooking, mining maintenance etc. ); however, jobs that require more soft skills (i.e. etiquette, creativity, spontaneity, courtesy, respect, intuition etc.) might be more difficult to replace. This does not mean that the technology will not eventually get to that point. There is already artificial intelligence that can mimic soft skills and will shift from being narrow to general whereby devices will process and predict what you need by using data collected from biometric technology, apps and your previous activities across the IOT (internet of things). The jobs that will be sought after will be determined by the current tech industry developments that are taking over (i.e. 3D printing, drones, virtual reality, augmented reality, the Internet of Things, robotics and artificial intelligence etc.). This also means that there will be jobs that are much more sought after to help humans and robots work together, and help humans redefine their role in this new society (i.e. sustainability manager, climate change reversal specialist, body part makers, Nano-medics, GM farmer, elderly wellness consultant, memory augmentation surgeon, science ethicist etc.). “It will be more valuable for you to be human – the empathetic kind person will be rewarded in a society where the population is aging and where robots cannot fulfil the role of nurturer in society.” says Mojapelo. 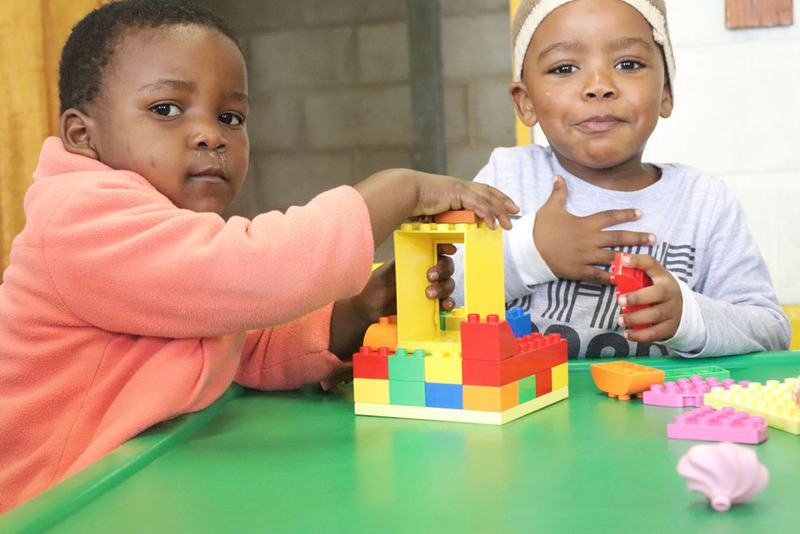 “These insights are really just the beginning and more will be revealed as time goes by, but we must always keep our finger on the pulse if we are to do what’s right for our young people and cultivate a future world that works for us all.”, concludes Afrika Tikkun’s ECD expert, Vanessa Mentor.